A magnificent solid oak Jacobean style wardrobe, with its carved frieze and solid oak raised and fielded panelled doors, which open to reveal a single hanging rail. 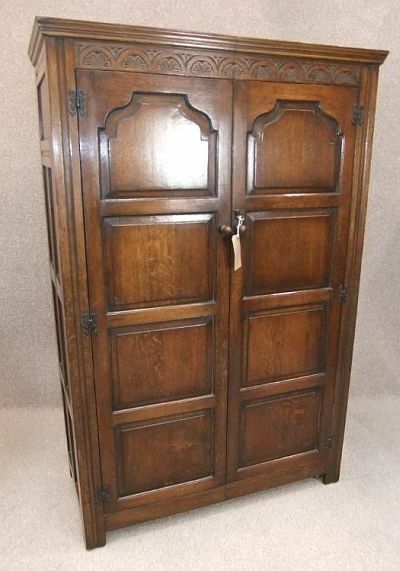 This antique wardrobe is also panelled on the sides and is in lovely condition for its age c1930. This item does split into two sections for the ease of transportation and assembly.